Cedar shakes, stucco, and stone create a captivating exterior for this three bedroom bungalow. Nine-foot ceilings combine with an impressive cathedral ceiling in the great room for enhanced spaciousness in this very open floor plan. Built-in bookshelves border the great room's central fireplace, which can easily be enjoyed from the dining room, kitchen and breakfast area. 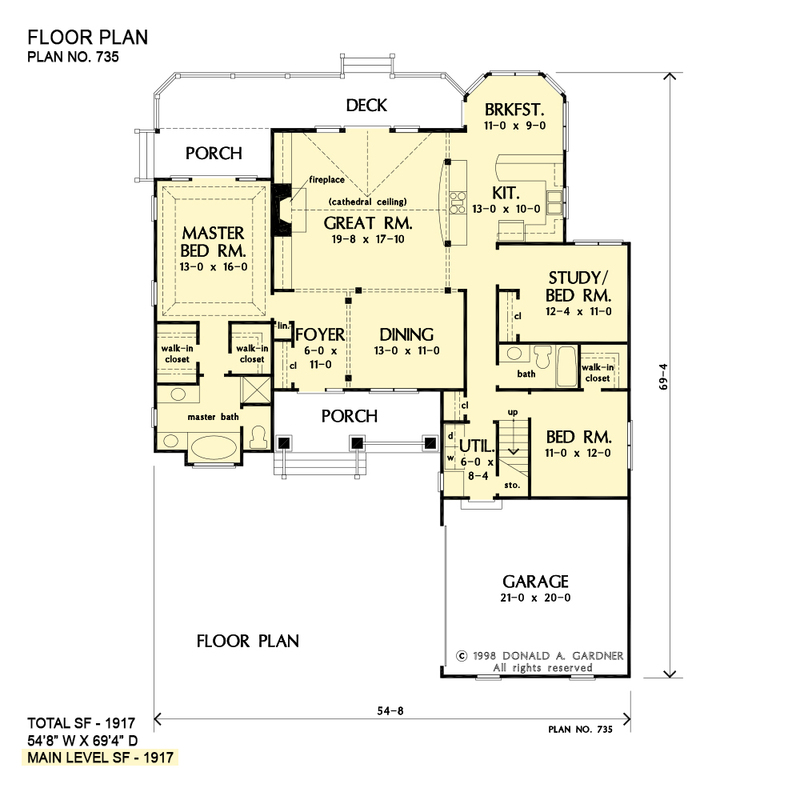 Separate from the other bedrooms, the master suite delights with a tray ceiling, dual walk-in closets, a generous bath, and back porch access. Of the two remaining bedrooms, one does double duty as a study and the other features a walk-in closet. 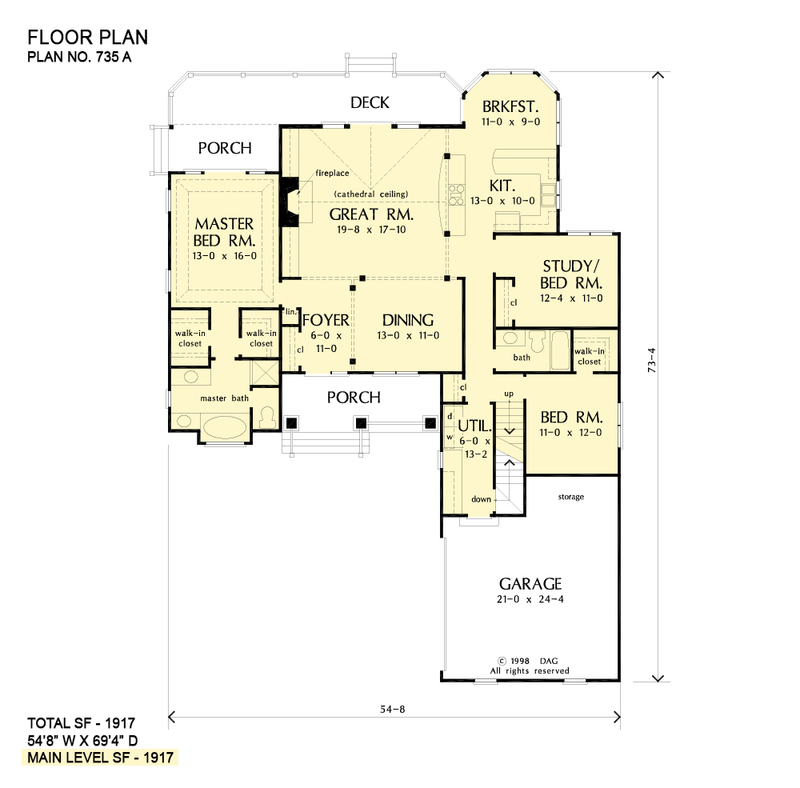 The nearby bonus room could be a fourth bedroom, served conveniently by the hall bath. 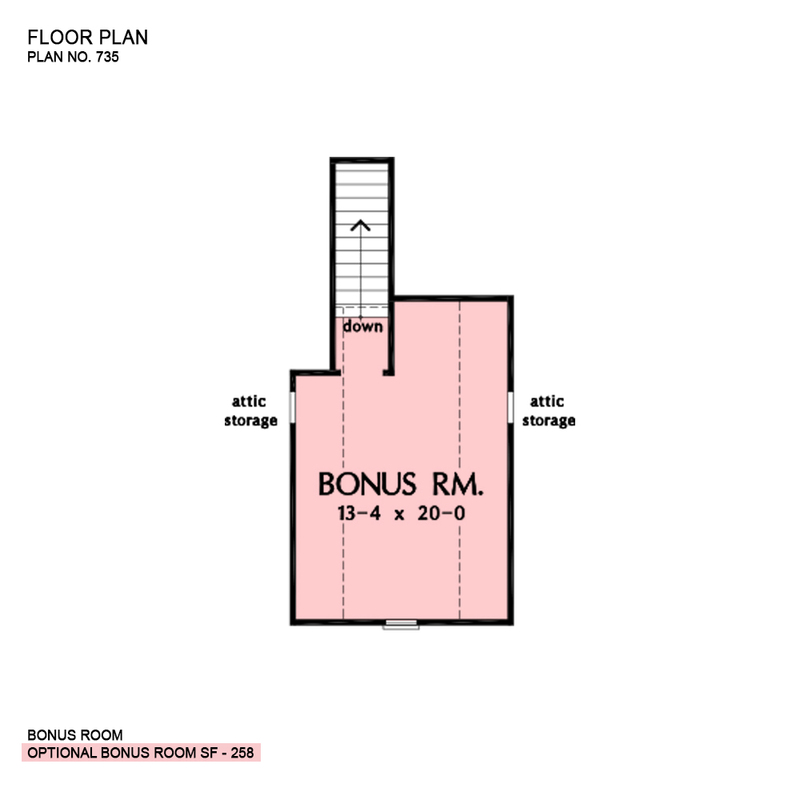 Bonus Room: 258 Sq. Ft.
House Dimensions: 54' 8" x 69' 4"
Great Room: 19' 8" x 17' 10"
Great Room (Cathedral): 19' 8" x 17' 10" x 18' 2"
Bonus Room (Vaulted): 13' 4" x 20' 0" x 8' 0"
Bedroom / Study : 12' 4" x 11' 0" x 9' 0"
Porch - Front : 19' 0" x 6' 1" x 0' 0"
Porch - Rear : 13' 4" x 5' 8" x 0' 0"
Deck / Patio : 35' 4" x 6' 4" x 0' 0"